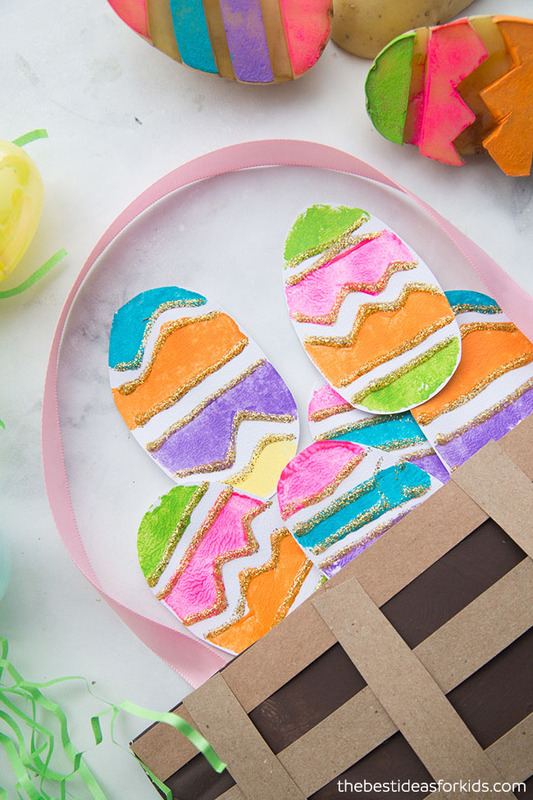 With Easter just around the corner we are excited to share this fun and easy Easter activity with you! This one is perfect for kids of all ages. 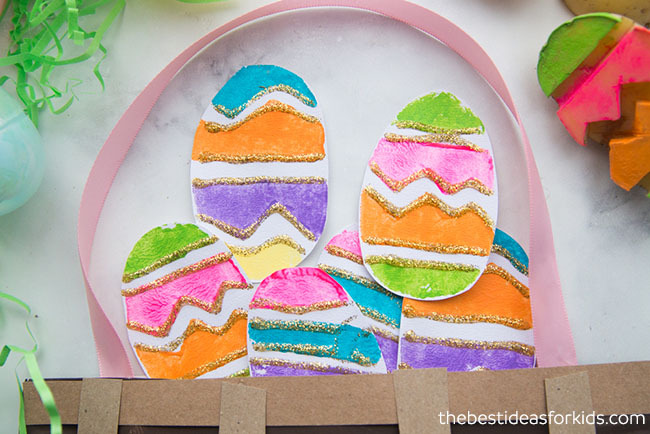 Toddlers and preschoolers can do the Easter egg potato stamping and older kids can add on to this craft activity by making their own Easter paper plate basket. 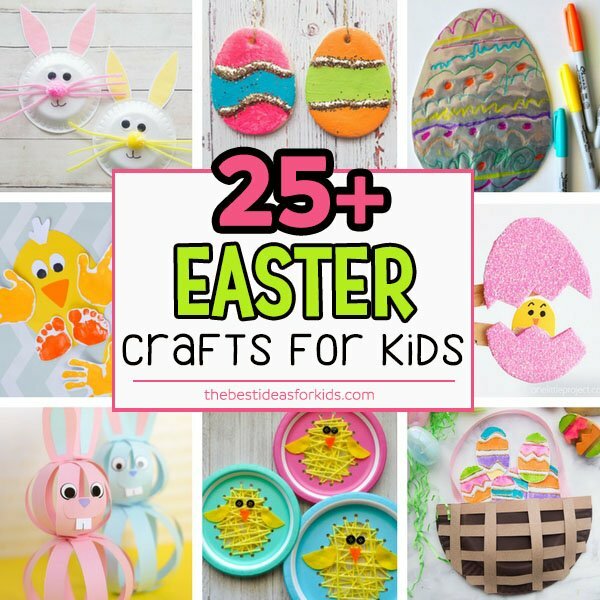 Your kids will love this Easter craft activity! 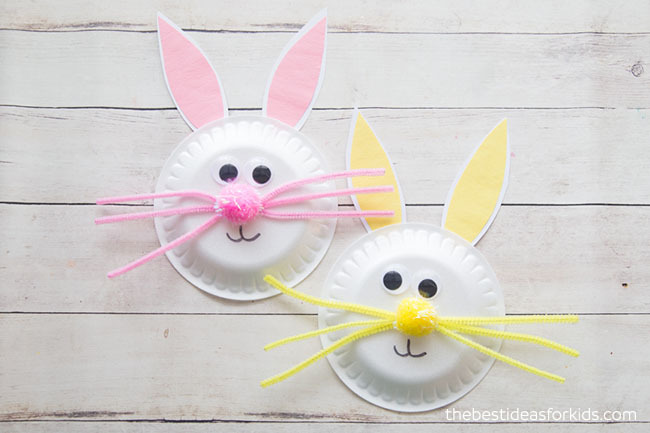 Making these Easter paper plate baskets can be an easy afternoon activity. 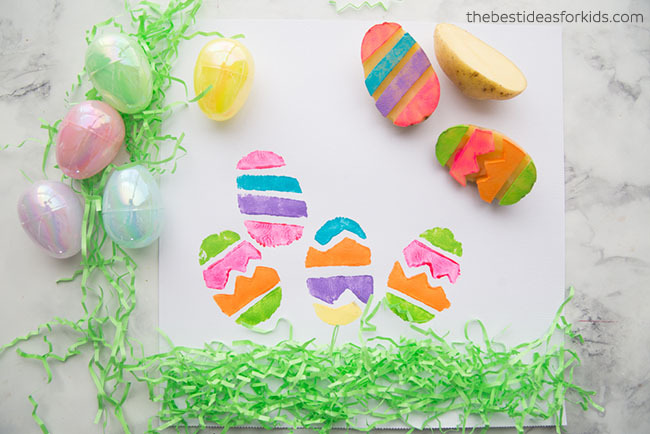 Fill them with paper eggs by following our potato stamping tutorial. 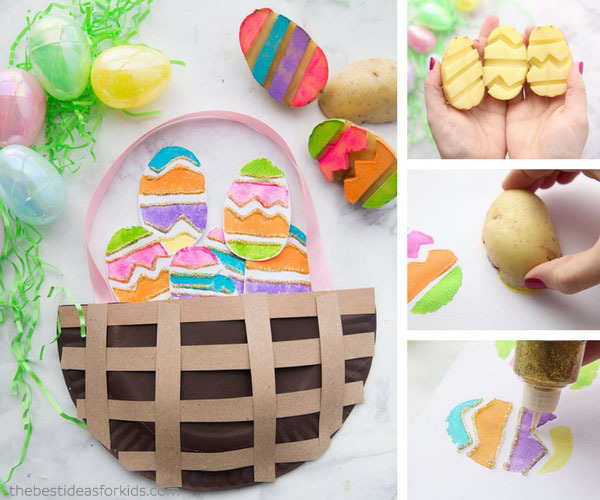 Kids can have fun just drawing their own Easter eggs too! 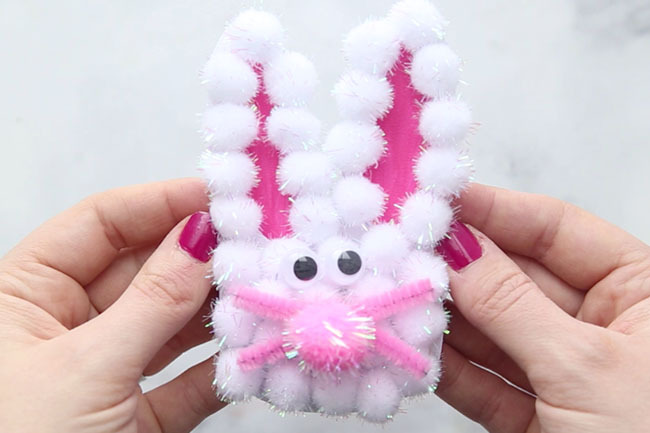 We added some glitter glue to our Easter Eggs but this is optional of course. We love how colorful and fun they are! 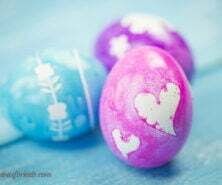 You can also skip making the basket and simply have fun stamping Easter Eggs on paper too! We love how these turned out! And it’s a fun way to use up some old potatoes. If they are a little soft the stamps will still work well. 1. First paint your paper plates brown on the outside of the paper plate. Let them dry. Then glue the two paper plates together and cut off 1/3 from the top. We used hot glue (adults only recommended) so that it would be sturdy and stay together. 2. 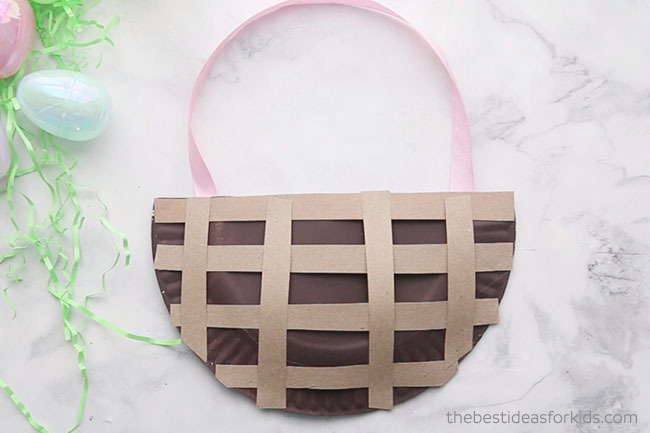 Then glue on the brown cardstock paper strips on top to make the basket. We used 4 strips horizontally and 4 strips vertically. You can just cut out long strips, glue them down and then trim around the outside if you don’t want to measure them to size. 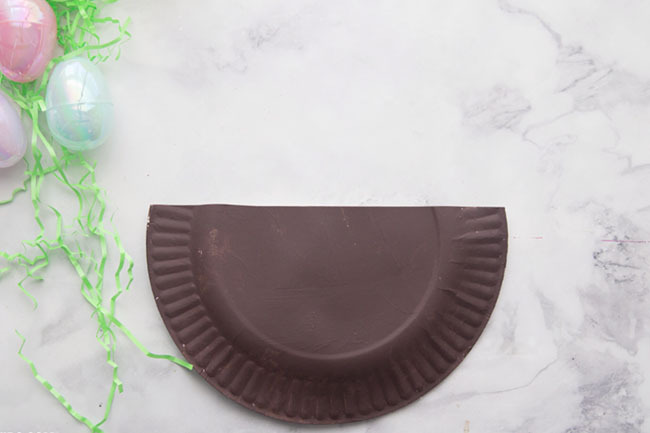 Finally, add your ribbon handle to the basket by gluing to the inside of the paper plate. This basket would look great hanging up as part of your Easter decorations! 1. 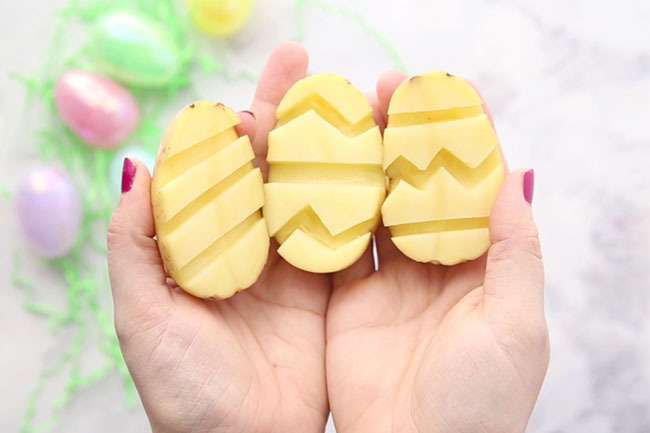 First cut and make your potato stamps. 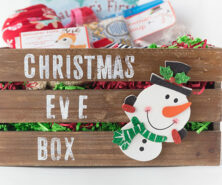 You can have fun making all kinds of different designs! We did a plain one with just diagonal stripes and two with chevron designs. 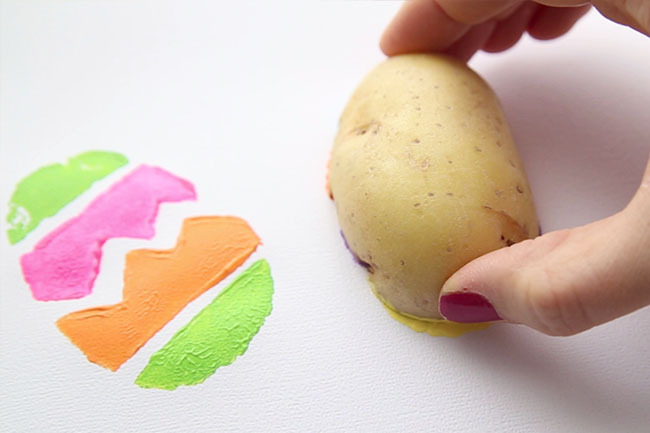 Adults should make the potato stamps and then kids can paint and stamp them! Adults Only: Carefully using a knife carve out your design. You may find it helpful to draw the design first and then follow your design marks when carving. 2. When pressing down for your stamp, make sure you press firmly on the whole potato. If you pull it off and some parts of the Easter egg are missing, you can simply press it again. You can also touch up with a little paint after too. 3. Add some gold glitter glue on top. 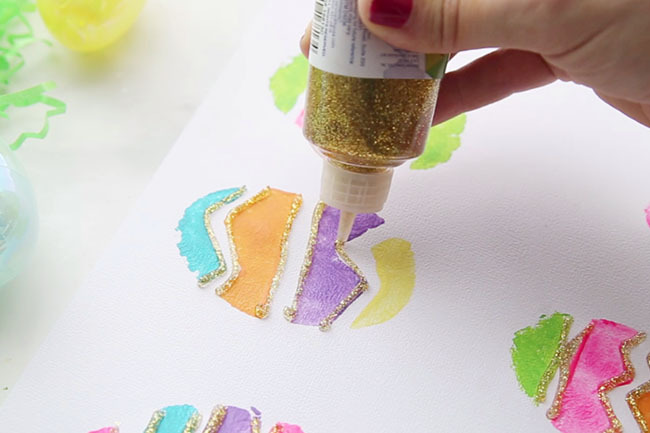 This part is optional but we like the way they turned out with the glitter glue! And that’s it. Pretty fun and easy, right? 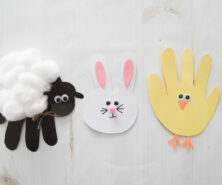 Which part of this Easter craft activity do you like the best? We hope you have fun making them! 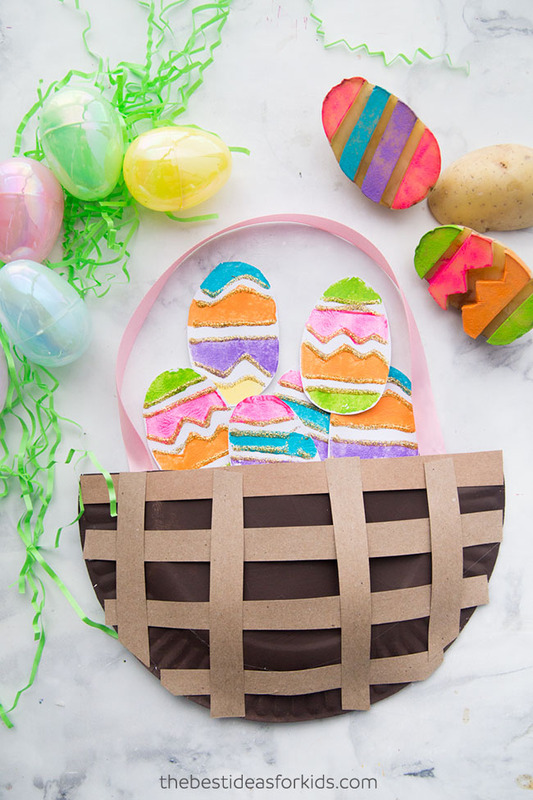 Pin this post for later so you can come back easily to make this Easter craft activity!